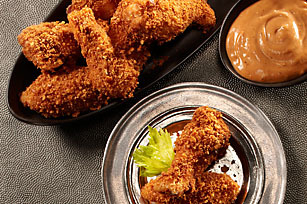 Makes 12 servings, 2 sliders each. 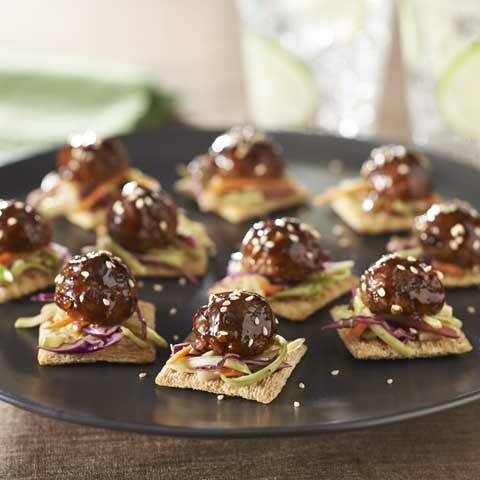 Meatballs are a must, so dress them up for New Year's with a coat of spiced hoisin, and show them off atop sesame-flavored broccoli slaw on crunchy crackers. 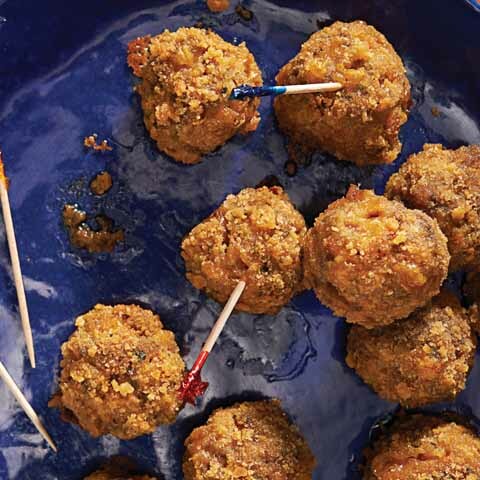 Place meatballs on foil-covered rimmed baking sheet. Bake 10 to 12 min. or until heated through. Meanwhile, mix hoisin sauce and crushed pepper until blended. Brush meatballs with hoisin sauce mixture; bake 5 to 8 min. or until sauce is heated through. Meanwhile, combine broccoli slaw and dressing. Top crackers with slaw mixture and meatball halves. Sprinkle with sesame seed. 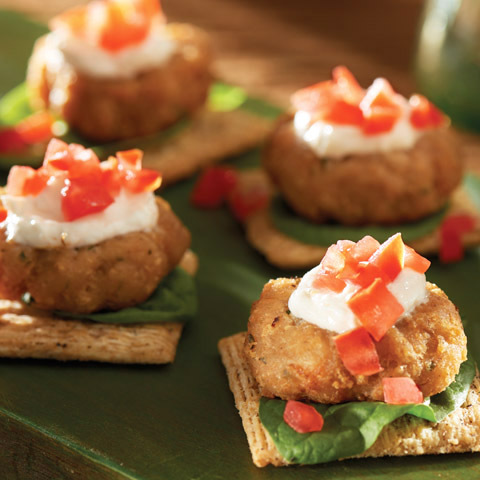 SubstitutePrepare using frozen cocktail-size fully cooked turkey meatballs.